Accelerate Engineering, PLLC is a professional consulting firm specialized in the planning, engineering, design and project management services for transportation and infrastructure improvements. 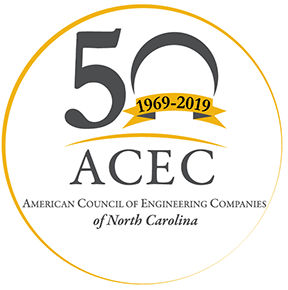 ACEC North Carolina's mission is to promote the business interests of engineering companies by providing legislative advocacy and business services in our state. ARCADIS G&M OF NORTH CAROLINA, INC.